As technology continues to evolve, many people are finding ways to implement it into their homes. Some of these household upgrades can actually help you save money in the long run. Here are some of the most popular ways that smart technology is used in homes. 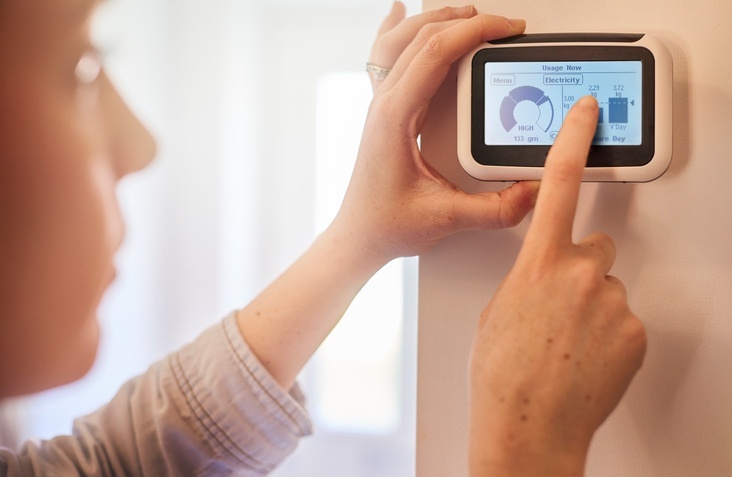 One of the greatest benefits of smart thermostats is that they can be scheduled to automatically lower when no one will be at the house, such as during the workday or when you’re on vacation. This will help lower your overall energy use. There’s also the added benefit of being able to use the app to change the temperature from anywhere if the weather changes. When dimmed, these light bulbs use less energy when compared to traditional light bulbs. Dimmin can either be done by using an app on your smart device or can be voice controlled by Alexa, Google Assistant, or Apple Homekit. While plain, white bulbs are the most popular option, some brands allow you to completely change the color of the light for some added fun. Do you ever leave the house worrying that you left something on that shouldn’t be? With smart outlets, you can simply use an app to shut off the power at the source, giving you peace of mind and saving a little electricity too. If you are a person who often finds themselves losing their keys or getting locked out of the house, this may be a great option for you. These locks can either be controlled by an app on your smart device, your fingerprint, or a code. One of the biggest wastes of money and water can be your sprinkler system. If you are away from the house and it's raining, you have no way to turn them off. With smart sprinklers, you can adjust the timing from anywhere. So if an unexpected rainstorm hits, you can turn off your sprinklers from wherever you are. Some can even be set up to automatically scan weather reports and adjust their schedules accordingly.